Let’s hear it for birds and wildlife visiting our jungle gardens at this time of year! One bird that has being catching my eye has been a lonesome Collared dove… but not this first one which I'm showing for comparison. Doing some garden watching of its own is a Collared dove that appears to have the bottom section of its beak missing. 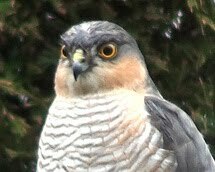 It wasn’t until I cropped and enlarged my photo that I spotted this then posted this on the Birdforum. As mentioned in my replies (on the forum) it is a curious one. Just how does this bird eat? As one reply suggested it has a black collar so it has successfully made it to adulthood so it must be managing. Another reply considered that it has had some sort of accident damaging its beak. Either way it must have a problem eating. I have seen it pushing peanuts along the ground towards rocks but intiailly never thought anything of it. I guess they are softer than the sunflower hearts and easier to eat although I have seen it appearing to eat sunflower hearts too. Recently I put out crushed peanuts for any passing hedgehogs and this Collared dove did seem to be quite interested in them. It’s a shame to see it on its own but it appears to be comfortable feeding with the Blackbirds and other birds in my garden. In the evening it does stay on in the garden after most other birds leave. It was after 9pm in the photos above. Now... was it alone? Oh… and it wasn’t the only one that got a surprise… listen out for my voice recorded at the time! The video above was taken through my window which I opened briefly to drop some peanuts and sultanas on the ground as this hedgehog visit was just a tad too early and the ground feeder was empty! What happened next? The little hog ate a while as you can see in the second video below. Strangely though I have noticed that often the hogs will source out single peanuts or sultanas. It disappeared out there into the jungle undergrowth… I went quietly outside with my video camera and followed it… can you guess what it was most likely looking for? The Collared dove clearly heard the hedgehog rustling about through the plants below it. However our gardens are not the only place to see and hear wildlife. Yep… out there on walks and on Nature Reserves we can see and hear nature of all kinds. Okay… hands up I’m making a link here! Last month when I posted video of young swallows being fed along this trail I spotted another poster but the deadline had passed for voting and I thought this competition was over. I had no idea there was one final round. 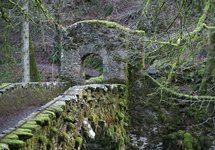 After visiting this trail I would definitely like to help promote it and ask that any visitors here may consider voting for it too. There is a quick link to the categories at the top of my sidebar but unfortunately I cannot link directly to the voting page. This Heritage Trail is in the Best Environment Project Section of this year’s National Lottery Awards. 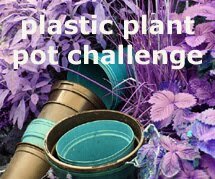 The Deadline is Thursday if you are interested in voting for any project that has made it to the final round. Now… I’ve passed by a few times since I first discovered this trail earlier this year. Over the next couple of days I have a rather ambitious plan to help you explore it further too either in person or from the comfort of your own home... no matter where you live. 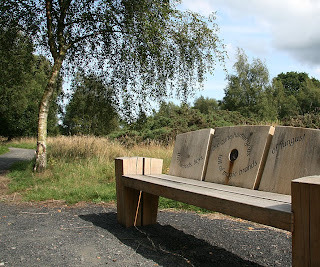 The Loch Leven Heritage Trail has made quite a difference to this area in terms of access in particular bringing visitors so much closer to nature and wildlife. Personally I think it is very impressive and would love to see them get funding from the Lottery to do even more work. 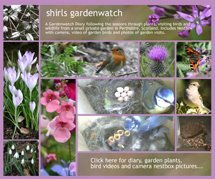 The videos above were taken in my garden on July 27th 2009. 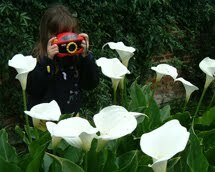 All photos were taken by me either on the trail or in my garden. 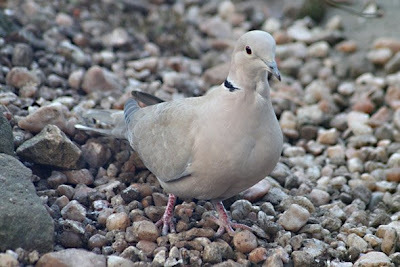 We have a few Collared Doves here where Ilive. I haven't ever seen them in my garden though. I think they are pretty. I love seeing your hedge hogs you know. Another charming post, Shirl! 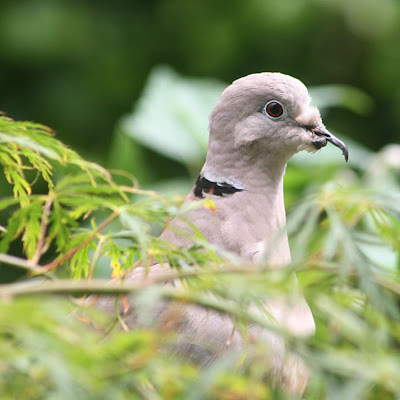 I'm glad the Collared Dove found the safe haven and treats of your garden. Poor Collared Dove, Shirl! To me it looks like it has the base of the lower beak so can still eat things, but I imagine the difficult part is actually getting any food into its mouth! Perhaps a nicely placed dish would help, just at the right height for it to scoop up from? The poor old Collared Dove really has to work hard to get food. A few weeks ago I saw a Wood Pigeon with a crossed beak which must have given problems also. Brilliant video of the hog seeking out food - well captured. It looked determined to find some left over seeds in the fallen feeder. 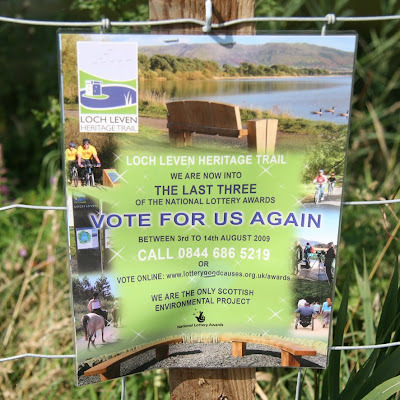 I hope the Loch Leven Heritage Trail manages to come out on top of the voting. Certainly a worthy cause. Lovely videos. A pity about the Collared Dove - I know nature has to take its course but I can't help but sympathise. I've got a limping pigeon visiting the garden - now I feel compelled to feed the poor thing. 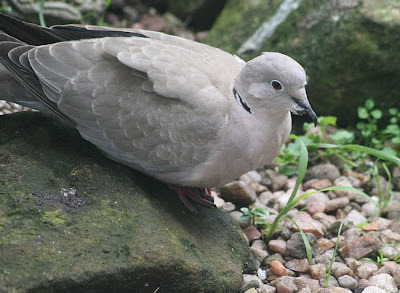 We have lots of collared doves visiting our garden, and they are extremely tame - they are sure my sole purpose in life is to feed them, and they often come down to hassle me for food when I'm in the garden. If I haven't been out by lunchtime they come up to the windows and peer inside at me. I hate it when I see a sick one - you never know what to do for the best, do you? That looked like one determined hedgehog! 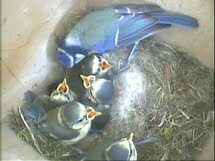 I did wonder though - have you picked up the feeder now? I know hedgehogs can get their noses stuck inside things like yoghurt pots and jars and get trapped & though the holes on the feeder are probably too small for it to happen with that, it might be better safe than sorry. Another interesting post Shirl but poor, poor dove! I hate to see that sort of thing but it looks healthy enough so perhaps all will be well, I do hope so. 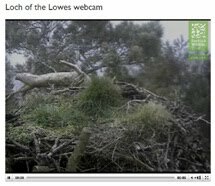 I enjoyed the videos, I still haven't seen any hogs in the garden yet which is unusual but then again we have had so much rain lately I haven't been out at the times I would expect to see them. So glad to hear your daughter's exam results were pleasing and I'm fascinated by her choice of meteorology as a career, I am intrigued by how she settled on that. Your Collared dove looks a lot like our Morning dove. Poor thing ...must be hard to eat with it's beak hooked like that. As Patsi said, your collard dove does look a lot like our mourning dove...but yours just looks prettier, because of that striped collar;-) This poor guy (or gal) does seem to have a quite a problem there...I hope s/he is able to survive out there! I got a kick out of your video when the hedgehog came into the picture...he was quite unexpected! He's kind of cute. I've never seen one in person. I always enjoy your posts and your videos are great! I know I've missed a bunch of them this summer...as the season changes I am going to have to go back and review all of them!! Hi Jan, it’s Shirl’s daughter. Watching the film ‘The Day After Tomorrow’ was the thing that made me interested in Meteorology. I had never thought about the weather before then, never really thought about how the clouds stay up etc., as I do now. Since then I’ve just read books and watched films on it. Also, the Standard Grade Geography course taught us about the weather fronts etc., and I knew then for sure that I wanted to do it. Hopefully, in the future, I’ll do my degree in Meteorology and then I want to go to America and predict tornadoes. I’d like to see if I can save people from dying by predicting them earlier.